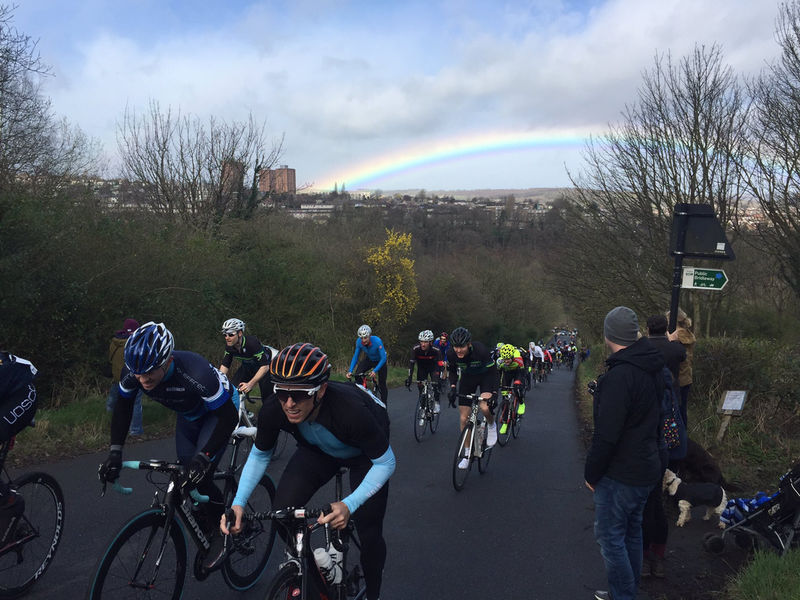 Cyclists competing in the Magnificent Seven challenge were greeted by local residents and a rainbow as they rode up Hagg Hill on Sunday. 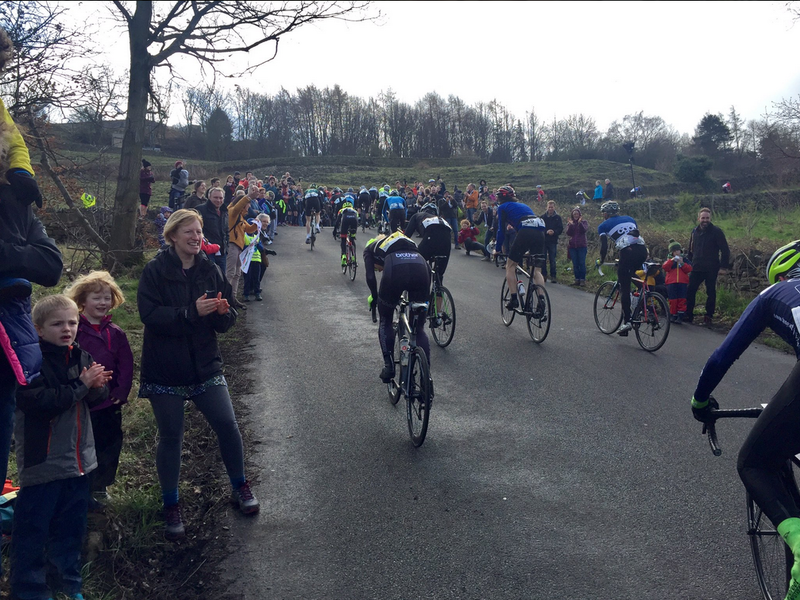 This entry was posted in events, health and fitness, photos, weather and tagged crosspool, hagg hill, magnificent seven, rainbow, rivelin, stannington. Bookmark the permalink.